(Natural News) As reported by Daily Mail, when an unnamed 86 year-old woman in Florida went to the hospital with “burning in her stomach and upper chest,” she wasn’t thinking about an unusual medical procedure she had received at least sixty years prior to her emergency room visit. At first, the doctors figured she was simply suffering from acid reflux, but decided to take an x-ray in case something else was amiss. That’s when they discovered an unusual mass in her left lung. But it wasn’t just any normal build up of fluid. The oil, once injected, would usually be absorbed by the lymphatic tissues and blood cells. But the idea of the oleothorax procedure was to collapse the infected lung, to give “it a chance to rest and help kill the TB bacteria.” Following the treatment, which lasted about two years, the patients were supposed to have the oil aspirated out of their lungs. 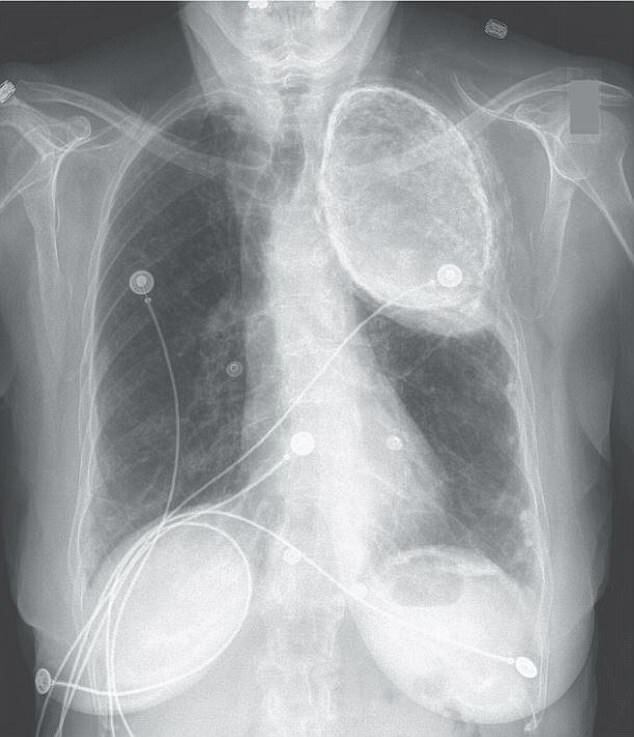 But, as this women experienced, patients either got better or moved on and forgot all about the oil hanging out inside their lung’s pleural cavity. It’s clear that there are elderly persons still living who may be carrying around a sack of oil in their lungs. It is important for today’s health care workers to be cognizant of the difficulties resulting from this abandoned medical procedure. RELATED: Discover paths to health without injections at Healing.news.